WAPA is pleased to announce the four recipients of the 2015 Praxis Award. 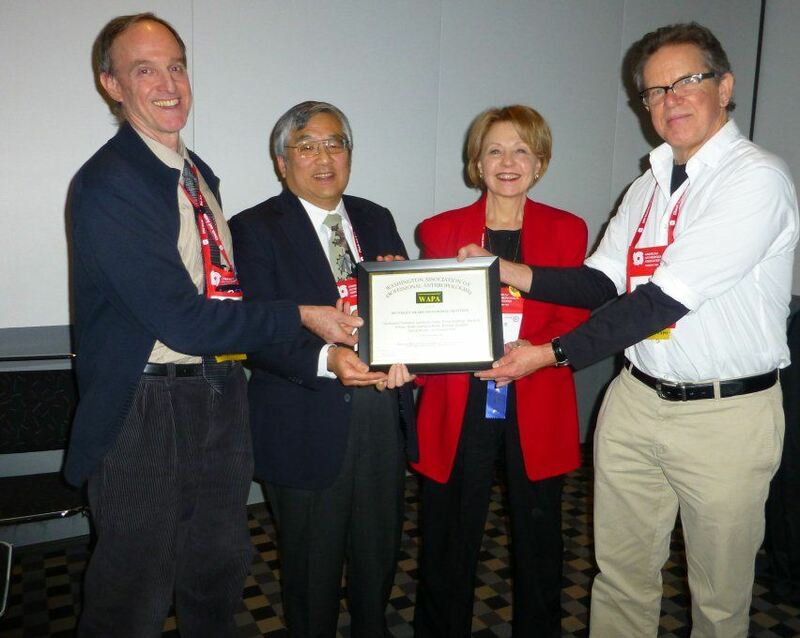 Two Awards and two Honorable Mentions were presented at the NAPA Business Meeting during the annual meeting of the American Anthropological Association in November in Denver, CO.
Mari Clarke and team are the co-winners of the 2015 Praxis Award for their competition entry: "Improving Awareness and Technical Skills in Road Maintenance within the Third Rural Transport Project, Vietnam." 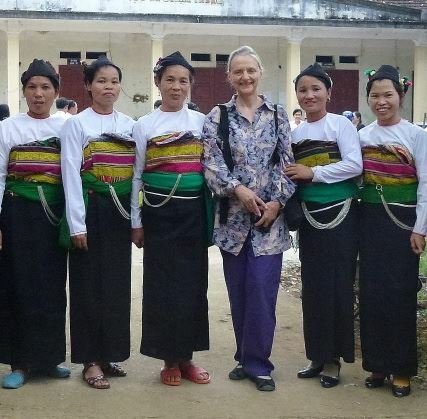 Mari Clarke and members of her rural project team. The application described how this ethnic minority road maintenance effort in Vietnam was managed by women’s unions in three provinces in coordination with provincial, district, and commune transport and people’s committees. The project addressed the isolation of rural, ethnic minorities who lack road access, and was able to mobilize and raised awareness of 765,000 people. The project increased market, school, and health care access to local groups while also increasing the social capital, status, and voices of community women who maintained the roadways. The approach of including local ethnic women in maintenance efforts fostered a “culture” of road stewardship and also influenced institutional change in the national Ministry of Transport. The anthropologist applied a holistic analytical framework and ethnographic methods in monitoring and evaluation to document and promote the approach, and to foster both a bottom-up and top-down “culture” of road maintenance changes. "The outcome was clearly successful in terms of improvement of transportation together with several desired consequences like economic improvement and gender equity. In fact, I hope the applicant does an article at some point with more detail on the change in gender linked behavior as a function of the project, slowly and over time. It feels from the necessarily brief description like a fascinating and useful story. The application of anthropological skills is described in several different aspects of the project." Mari H. Clarke is a World Bank Senior Gender Consultant with over 30 years of addressing gender in international development (transport, energy, water, environment, agriculture, microenterprise, monitoring and evaluation). She has been a World Bank consultant on gender and transport since 2005. Stephen Weidlich and the AECOM team are also co-winners of the 2015 Praxis Award for their entry, "Little Saigon Design Guidelines" in San Diego, CA. "The applicant, an anthropologist with an engineering and consulting firm, formed part of a team to produce a plan for development of “Little Saigon” in San Diego. He introduced several ethnographic-type approaches from anthropology and other fields to obtain interactive community participation throughout, the “participant photography workshop” being a central one. A plan with “actionable next steps” was produced and earned a planning award and letter of commendation." Mr. Weidlich is a cultural anthropologist and ethnographer at AECOM, Inc., a global engineering and consulting company, providing social impact assessment services for federal, state, and local clients, as well as private clients in the alternative energy industries. 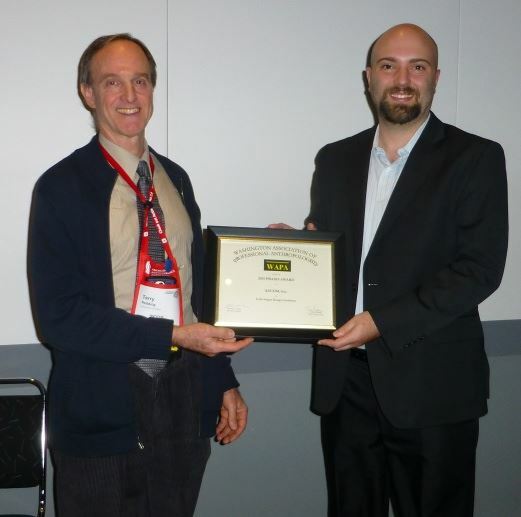 LTG Associates, Inc. has received an honorable mention for a project titled "Pastors at Risk: Toward an Improved Culture of Health for United Methodist Clergy in North Carolina"
receive an honorable mention certificate from 2013 Praxis Award winner Mark Edberg. The application described LTG’s multiyear evaluation work focusing on the Duke Divinity School’s Clergy Health Initiative (CHI). The CHI sought to improve the overall health of some 2,500 United Methodist pastors in North Carolina. LTG’s use of anthropological methods and engagement allowed the team to provide critical information that informed the shape and functioning of the CHI intervention with clergy. LTG also documented individual improvements in clergy health, but more importantly, witnessed and documented positive shifts in the culture of health within the larger United Methodist Church hierarchy and community in North Carolina. "Initially I wasn’t sure because it sounded like an applied research evaluation for the funder separate from the actual hands on program implementation. As I read I saw that they had turned “evaluation” into a hands-on anthro-style organizational development process, with serious and ongoing engagement with all stakeholders, iterative and interactive changes in program in part due to their collaborative work, and well documented positive outcomes in terms of health awareness and practices." Members of the LTG Associates project team included Cathleen Crain, Nathaniel Tashima, Terry Redding, Reiko Ishihara-Brito, Michelle Wilson, Kristen Hudgins, Jillian Brems, and Pamela Rao. This 2.5-year project takes place within the context of revisions to the El Yunque National Forest’s management plan and recent changes in federal regulations, which allow for greater public input into the planning process. Despite the policy changes, the historical, political, economic, and cultural context of Puerto Rico, a colonial territory of the United States since 1898, presented a barrier to incorporating viewpoints of the public. Utilizing anthropological theories and methodologies, the team identified some of the challenges presented by these barriers—including historically top-down, scientific-based decisionmaking, public mistrust in administrators, gaps in knowledge regarding visitor practices, and lack of interest from some sectors of the public—and developed a locally appropriate and relevant strategy to address the challenges. "This project first of all deals with a core issue for anthropological practitioners, not to mention managers, namely, how to integrate “stakeholders” and “ manager” in a useful way. The applicant demonstrates the contribution of his background from general concept to detailed strategy. It is clearly a team effort as reflected in the description. The results are impressive in how the project connected the managers with local communities in several ways and in the many appended statement by colleagues he worked with." Federico Cintrón-Moscoso, along with his work with the Centro Para La Conservación Del Paisaje, is adjunct professor of research methods at the Department of Graduate Studies, School of Education (UPR), and has been an applied consultant since 2008. He specializes in community-based participatory action research, youth and community development, environmental education, and public participation in natural resource management. Michael Agar helped establish the MAA program at U Maryland (where he is emeritus professor), has authored several books, runs his own consulting firm, Ethknoworks LLC, and is a research professor at U New Mexico. Dominique Desjeux, professor emeritus in the Anthropology Department at the Sorbonne in Paris, founded a French social anthropology professional network called AnthroPik, and runs an international consulting firm, Daize and Co.
Tracy Meerwarth Pester, a business anthropologist who worked as a contractor for General Motors for several years, has worked in recent years to modernize anthropological ethics statements to more closely align with the actual work done by practicing anthropologists. The Praxis Committee consists of Shirley Buzzard, Jenny Masur, Stan Yoder, and Terry Redding (chair).